2 months ago I went to the doctors and weighed in at 150, which is my normal weight and hasn’t changed in like three years now. The nurse was shocked. 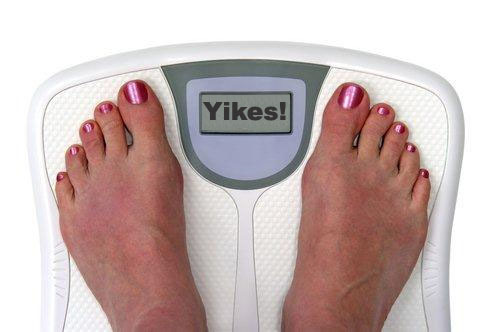 She didn’t expect that weight to go with how I look. She was the same height as me, but weighed less, but looked heavier, so she thought she had an objective view of the number. And I was thinking, “…well, it’s muscle and it’s a perfectly healthy weight, so bugger off.” Weight is just a number, when it comes down to it. It’s better to consider the government standards as guidelines. I’ve been underweight my whole life, and I am quite healthy. I eat five small meals a day and exercise several times a week. I’m definitely not anorexic. My body just wasn’t built to weight much. Some people’s bodies are built to weigh more, some are built to weigh less. You know if you re getting the right food and exercise. If you are, don’t sweat it. this is all very true. Such a true day today! I have to agree with Erin. I’m also classified as underweight, but if I gained more I genuinely would be fat. It’s all in your build, how much muscle you have, and what’s healthy for you.